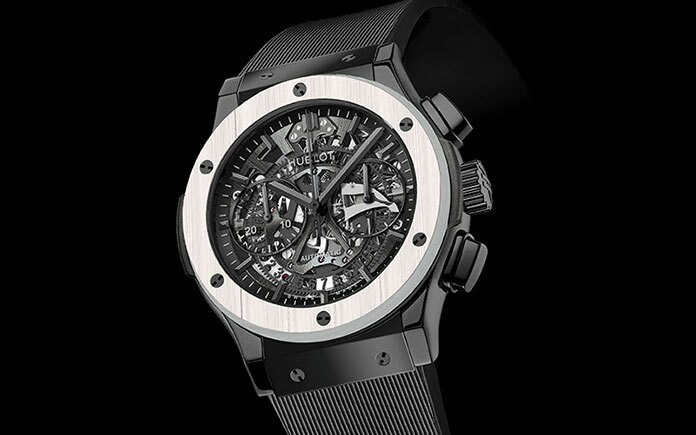 Swiss watch brand Hublot announced a new partnership with iconic yacht manufacture VanDutch as the two luxury brands launch the Classic Fusion Aerofusion Chronograph “VanDutch” timepiece. 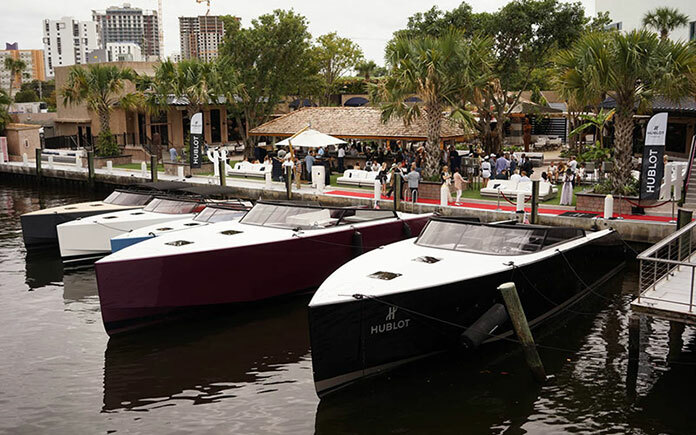 Jean-Francois Sberro, Managing Director Hublot of America, and Rick de la Croix, President Hublot Latin America, hosted an intimate afternoon cocktail event at the River Yacht Club in Miami, FL, in partnership with Toys for Boys, and VanDutch CEO Anko Mast and Vice President Nicholas Cardoza. 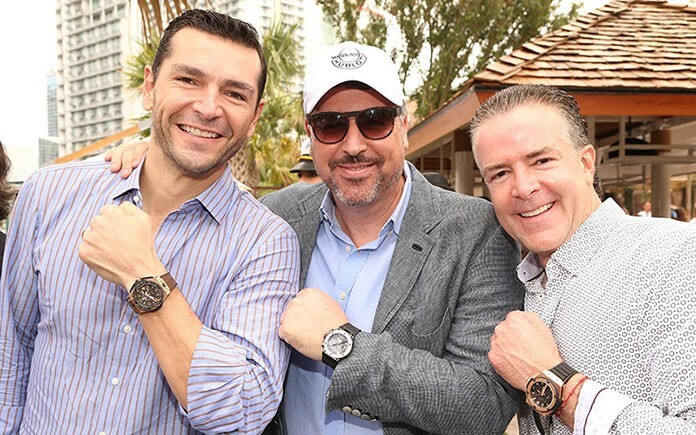 Guests, decked in nautical-inspired blue and white hues, were invited to celebrate the partnership and view the new timepieces on display, which will be available exclusively at the Hublot Galerie in the Miami Design District, Hublot Boutique Bal Harbour, and VanDutch. The Classic Fusion Aerofusion Chronograph “VanDutch” is limited to 55 pieces, and its style reflects the sleek and modern design for which Van Dutch yachts have become known. The Classic Fusion Aerofusion Chronograph “VanDutch” features a sporty yet refined 45mm case in polished black ceramic with a grey composite bezel. The piece is made with a self-winding skeleton chronograph movement, with the Van Dutch logo placed on the case-back. Each piece comes with two interchangeable straps – one with black rubber and grey calf with grey stitching and the second a black lined rubber strap, perfect for the ocean.